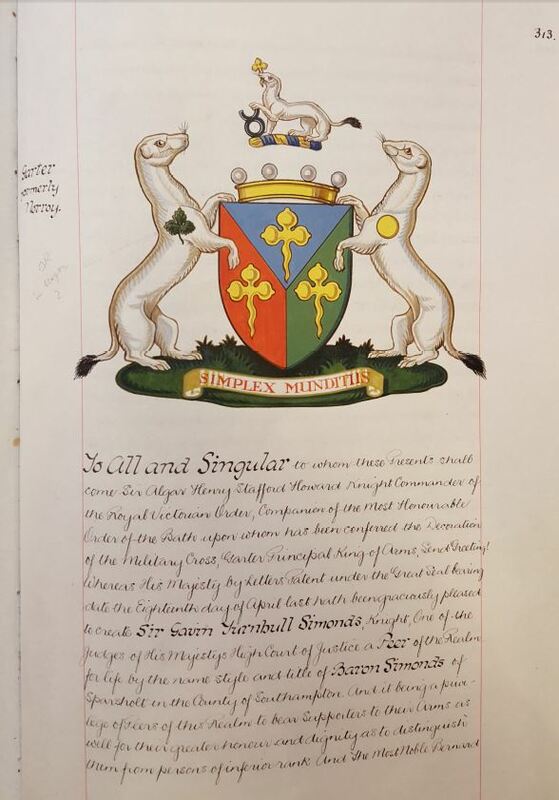 Louis de Luze Simonds & George Blackall Simonds each used a ‘Coat of Arms’, but there is some doubt if they ever applied to the College of Arms for this right and I am in discussion with the College of Heralds about this. They did however have the original Family Tree on which much of my family tree is now based, researched by the college, in about 1925. It reflects the Hop Leaf emblem by this time already associated with the family for over 100 years. This is all detailed in letters from George Blackall Simonds from Bradfield House in Berkshire, dated Nov 7th 1927 and following to his cousin Francis May Simonds (1866-1939) in New York. Arms: Tierced in pale azure gules and vert, three trefoils slipped or. 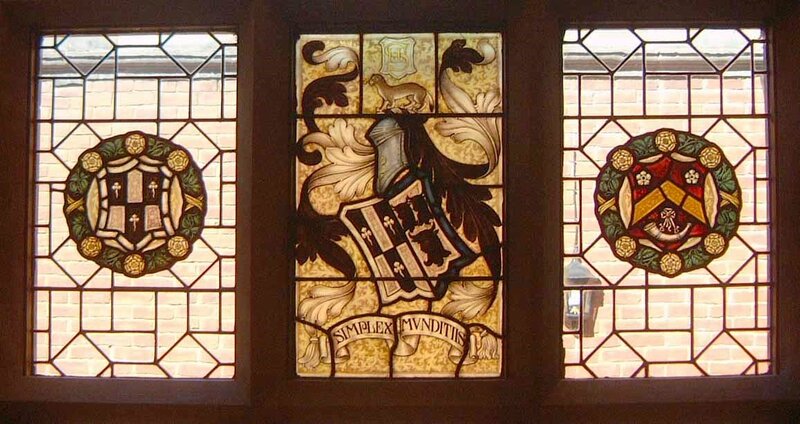 Supporters: On either side an ermine proper each charged on the shoulder, the dexter [left] with a hop leaf and the sinister [right] with a bezant. Note – a ‘Coat of Arms is strictly ‘personal’. There is not a ‘family’ Coat of Arms. 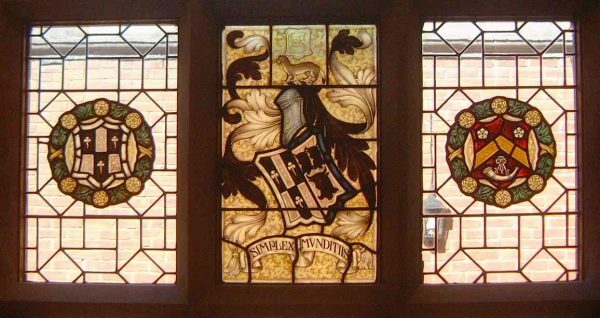 In contrast, the family has a ‘crest’ which is reflected in each Coat of Arms issued by the ‘Herald’ to that family. 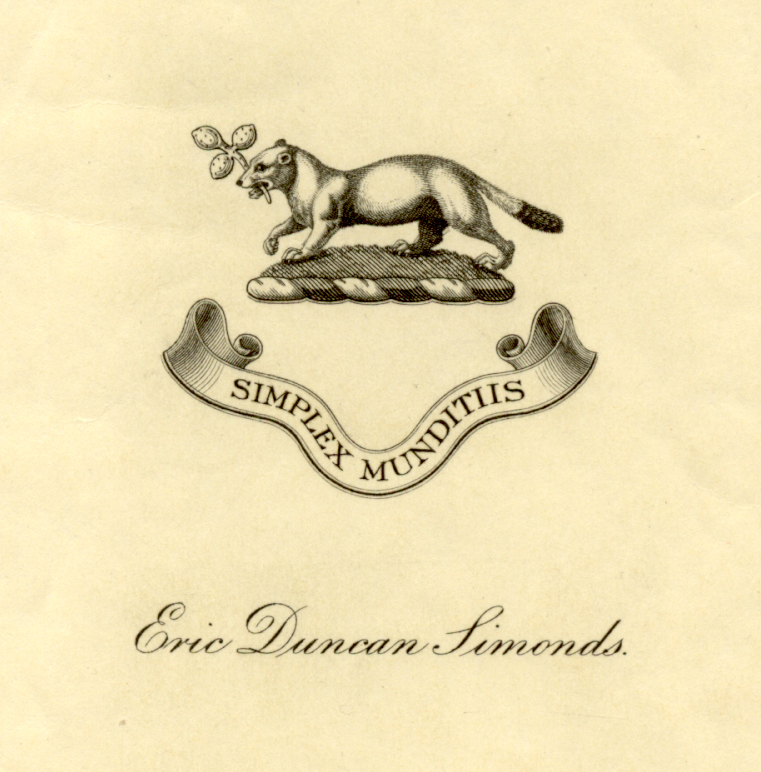 The Simonds family crest, shown at the top of the Coat of Arms, consists of an ermine passant, holding a trefoil of clover in his mouth. 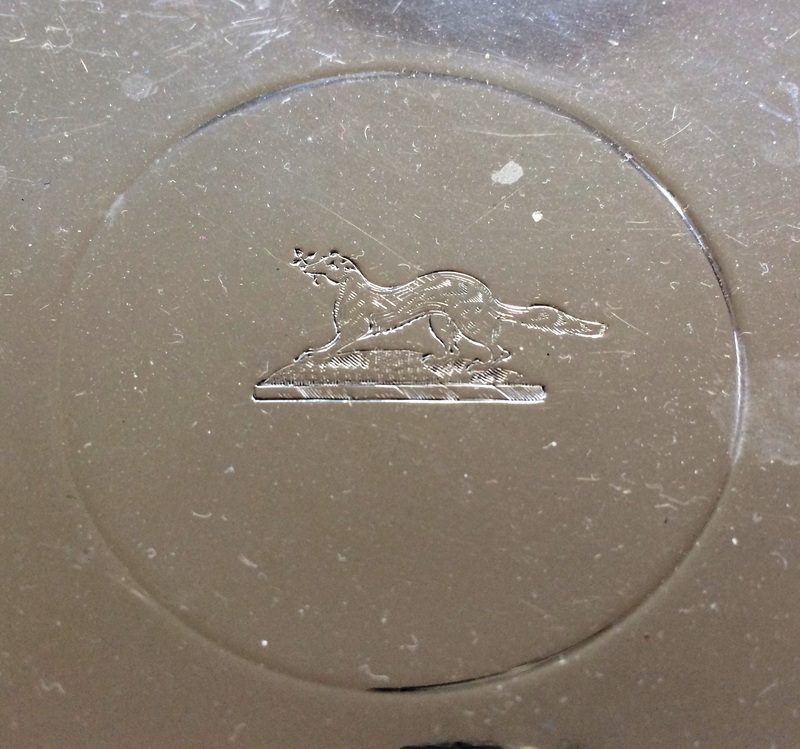 I have not found the origin of this crest, but in the middle ages, ermine fur was reserved for Royal use and 2 of my forbears worked in the Royal Household. William Simones (1565-1597) was a ‘Servant of the Household of Queen Elizabeth 1st and also the 1st recorded Simonds to live at Newlands House in Arborfield. His Grandson Thomas (1618-1676) was also at the Royal Court, being Page of Presence to Queen Anne (of Denmark) and Keeper of the Manor Walke, Windsor Great Park. So it is possible that either of these was awarded the use of the ermine. that shows his handwritten notes. I have often been asked what the motto means – and the answer is ‘simple’! Simplex munditiis. A few thousand years ago the great Latin poet Horace strung these words together in a valiant but futile attempt to describe the scene of a young woman weaving flowers into her hair in a sea cave. Horace’s poem is a record of the inherent, transient beauty in the world. The expression has been used by several other poets including Milton. Simple, in neat attire / neat but not gaudy / unaffected by manners. Whatever the final words – the intention and lifestyle direction for our family is clear – we all just have to aspire to live up to it! 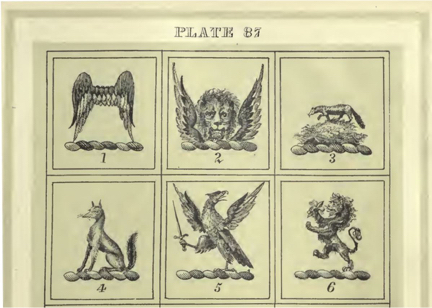 Fairbairn’s Book of Crests is the ‘Document of Record’ for family crests. The 2 volume version was published in 1905. 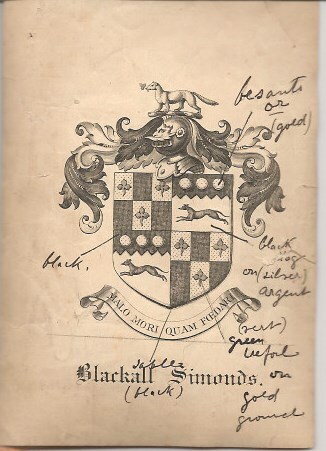 I have found several other entries with variant spellings of both Symons and Symonds using the same crest and motto. Tantalisingly, this could mean that the use of this crest dates from before the spelling of our name ‘gelled’ in the 18th century! 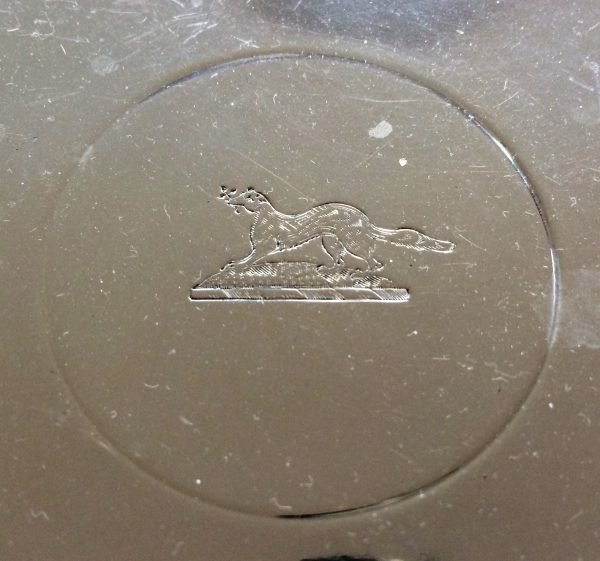 This is the referenced image in the same book on Plate 87, illustration no 3, showing the ermine passant with trefoil. Simonds, on a mount vert, an erm. Passant ppr., holding in the mouth a trefoil slipped or. trefoil slipped or. 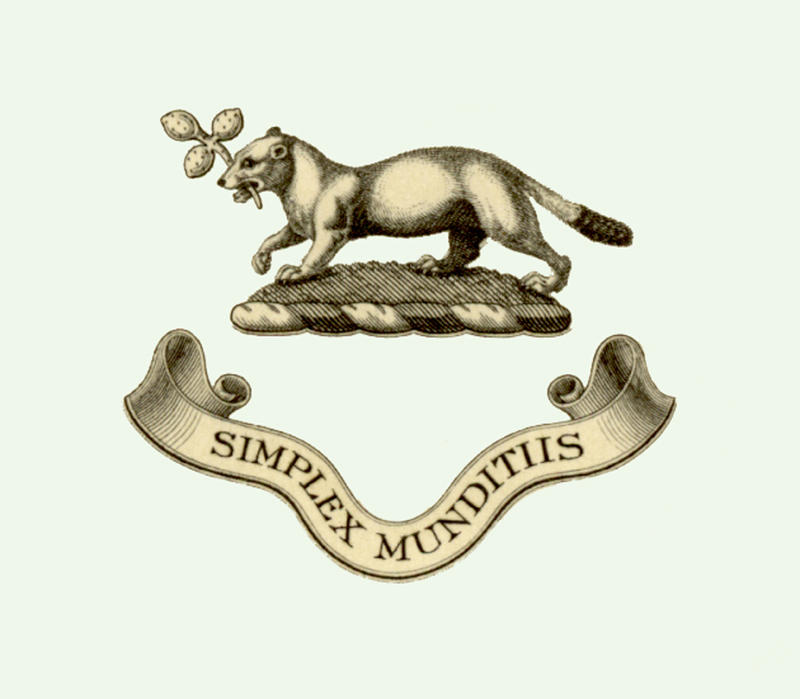 Simplex munditiis.